Home › Tournaments › New Hampshire › The Bellamy Park Championship Presented by T.O.G. 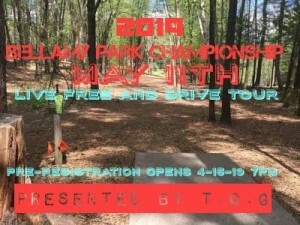 The Bellamy Park Championship Presented by T.O.G. The Bellamy Park Championship Presented by T.O.G. is the second stop on the 2019 LFDT. T.O.G. is responsible for all refunds/cancelations.